This is one of the most beautiful and natural waterfalls of Jamaica. 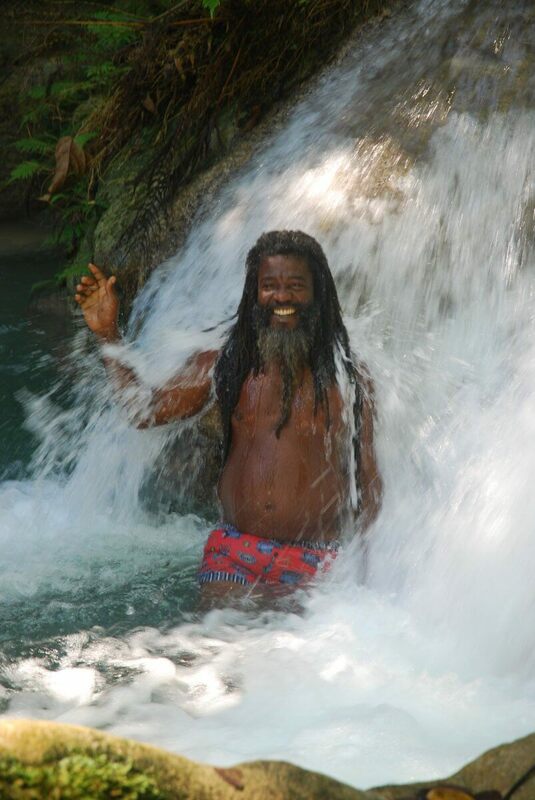 Number one waterfall, elected by the Jamaican Tourist Board for the last three years for his natural beauty. Zion Country Eco-beach Cabins offers this trip for groups & individuals, with a guide you hike up true the river to reach falls. Your path will pass through tropical rain forest, beautiful surroundings and a series of cascades tumbling over limestone tiers from one hollowed, jade colored pool to another. From Reach Falls you continue your hike up to Madingo cave, almost a half mile up river to the Drivers River spring which feeds the falls with water. Note the signs that read, “Beware of deep pools and strong currents”. There are changing rooms and bathrooms above the parking lot. When you reach the falls, and on your way back down over and on your way back down over 1 hour walk downhill, you past some vendors of craft and fruits. Included: Transportation and a guide. Full day trip. Prices on request.